Everyone loves Boxwood wreaths! 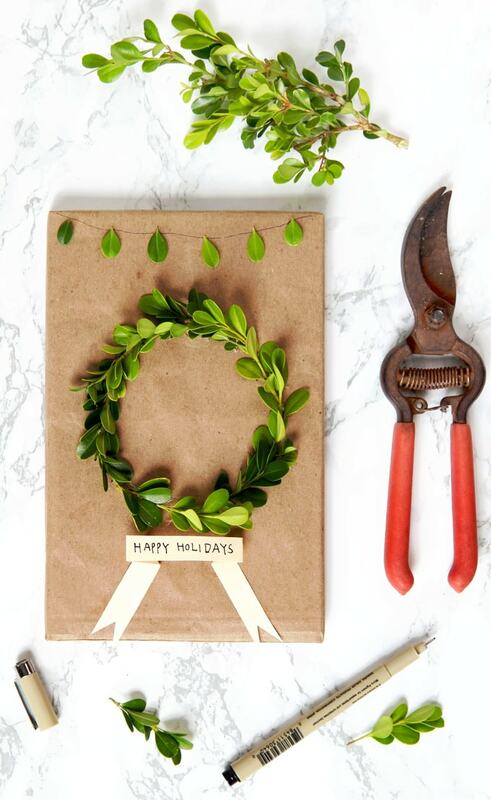 While it takes some work to make a big wreath, this adorable mini boxwood wreath takes only a few minutes to make. Take 10 to 15 small 2 inch long boxwood cuttings. Draw a circle at the center of the box as a guide. 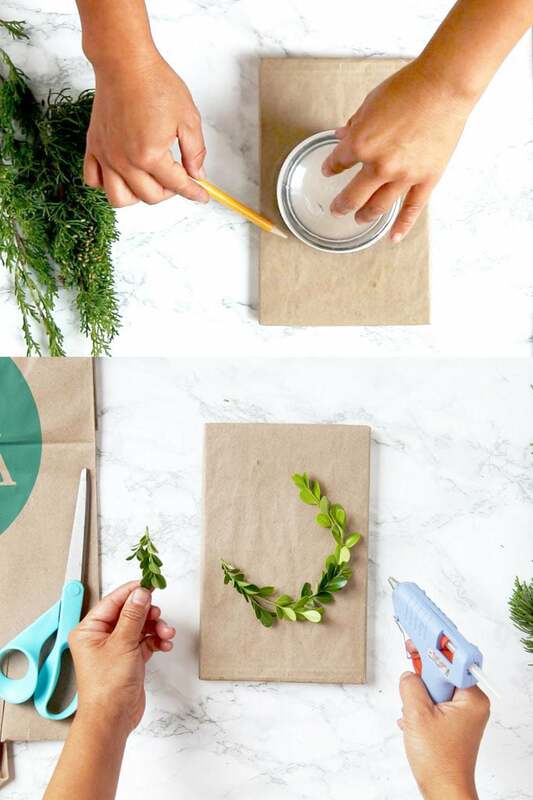 Glue the boxwood cuttings along the circle to complete the wreath. 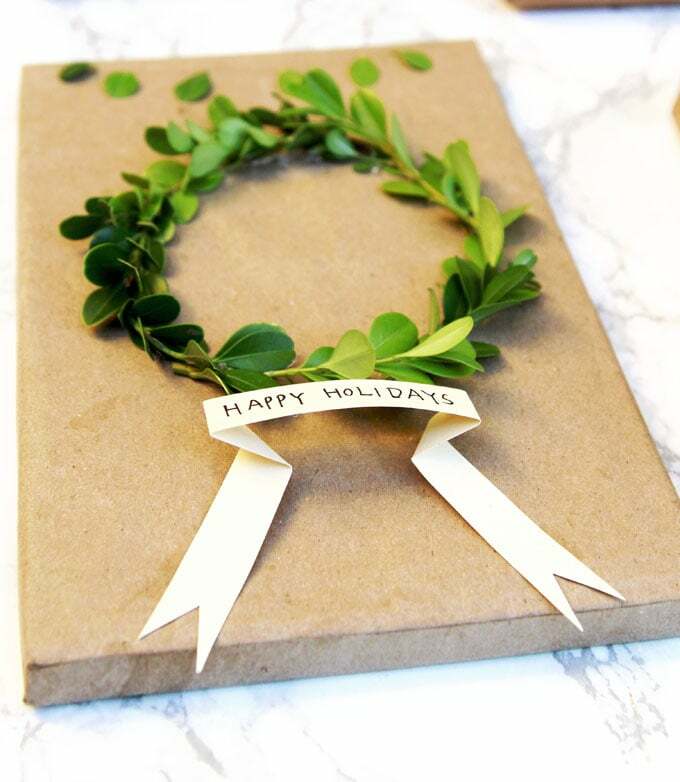 You can add a mini leaf garland at top, and a fun DIY 3d paper ribbon with a hand written message at the bottom. Cut a thin strip of paper, fold it like shown in the photo below. 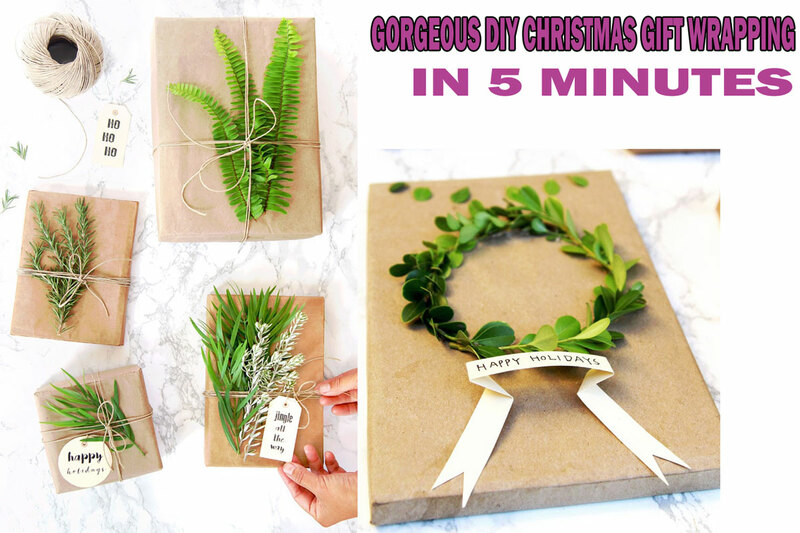 Write a message in the center part, put a little glue on each end of the paper ribbon, and glue it onto the gift wrap.